Thursdays at Ignition during the next few weeks for our NFL guys will include work on the Woodway, what we'll refer to as "Woodway Thursday". 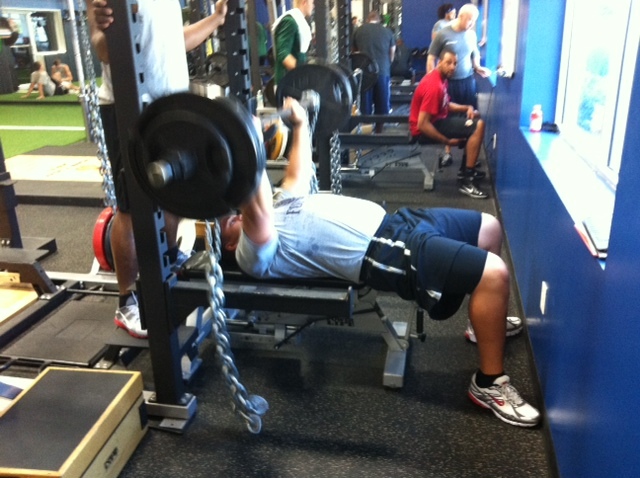 In addition to the Woodway training, the guys also went through a lift which included chain bench. Coach Clif says, "The purpose of chains for the bench press is to build explosive power off you chest as well as to help you feel the "finish" the lockout of the lift. 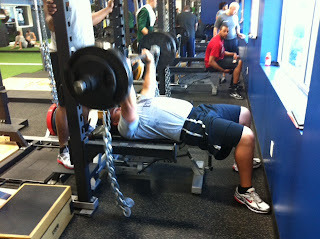 The chains also add an element of stabilization for your shoulders on the lift. This is a great football specific movement specifically for linemen as it relates to what they do in a game. 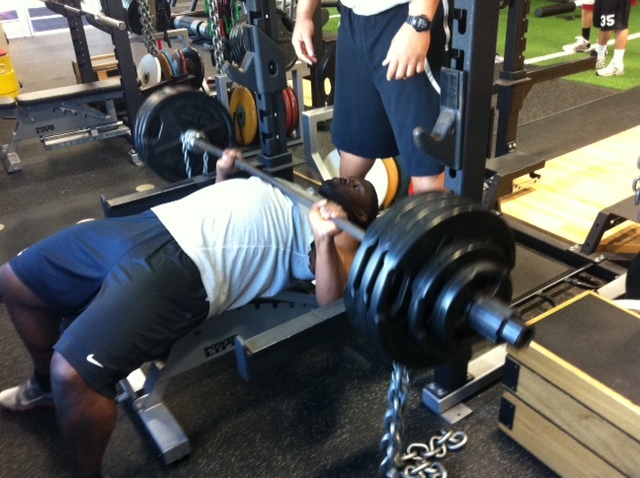 The chain bench will be used in our 4 week pre season cycle on Thursdays."